?Millie is a fiend for Cobber, it?s all she eats. Millie leads a double life, she is excellent at working sheep but sleeps on her owners bed at night.? Bonnie is a 9 ½ week old New Zealand Huntaway, she will probably never win Cobber Challenge! She?s from good working lines, but much happier to snooze with her toys or round up her big sister (lol). 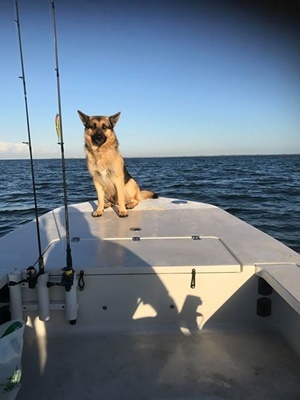 Our German Shepherd Humphrey absolutely loves his Working dog mix. He is an absolute clown and is constantly making us laugh! Our dog's name is Blue, named so because she has one 'blue' eye. 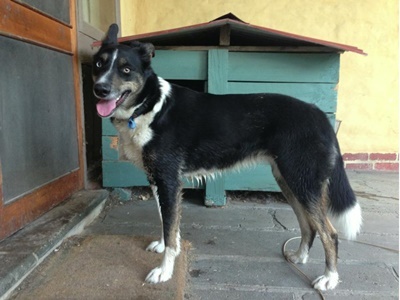 She's a Border Collie x Kelpie who we found in a dog shelter. Blue spent her first 8 years on a 20 acre wine grape vineyard. 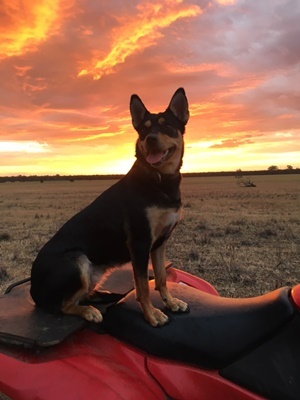 She's never had a proper job of rounding up livestock, but she's certainly made it her job to chase off kangaroos and almost any other animal that set foot on her property. She always enjoyed playing a game of 'boo!' with the horses in the adjoining paddock. She's kept us fit with long runs and helped us make new friends. Blue is now 10 years old and living on a smaller block and best of all she's mellowed out. She still enjoys playing 'boo!' with the neighbour's cattle and sheep. She was a lot of work in the beginning, but we wouldn't trade her for another dog. Send us up to 100 words about what your dog does for your farm or your farming community or why they are important to you; we'd love to feature them on this page! Submit through the form below and wait for it to appear on the website! You can either submit anonymously, or provide your first name and region. You don't need to be applying for the Cobber Challenge to feature; we just love celebrating the contributions of Australia's working dogs!